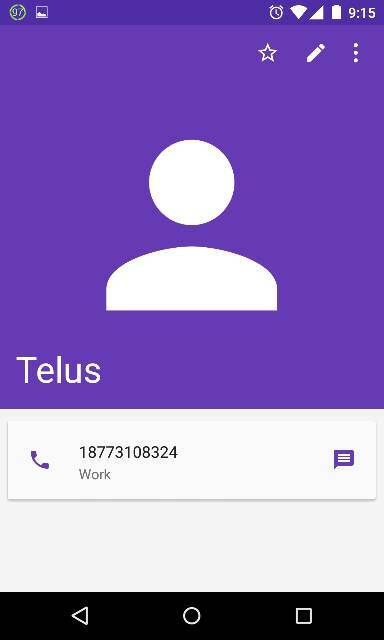 Why can't I edit contacts on Nexus 4 after Android 5.0.1 Lollipop uprgrade? I just received and upgraded my Nexus 4 to Android 5.0.1 Lollipop, and other than adjusting to the new interface, everything seemed fine. However, I just added a new contact in my phone book, but wanted to edit it after and can't. Previously when I touched on the contact it would offer me the speed dial star, the edit pencil and the three dot extras. Now it has replaced the pencil with a plus person/add to contact...but this is after I added this new contact. As a confirmation, I added a fictitious person and number, and now can't remove them from my phone book. I'm looking for some helpful feedback if anyone has experienced this or knows what I might be able to do. At worst, try a different contact app, like Go Contacts. Or (and all your contacts should be enterd as Google Account contacts), edit them on Google Contacts. 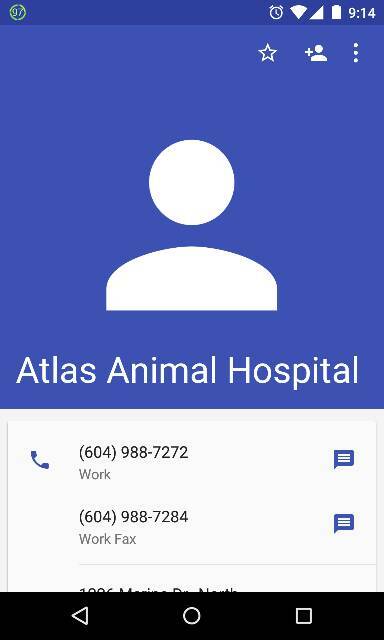 Tried long-pressing the contact, but nothing happens and I wasn't synced when I added my most recent contact, so it isn't on my Google contacts. Also, that's a bit annoying since I used to be able to with 4.4.4. I'm just hoping that there's someway to restore the ability to edit in the phone directory itself. OP, can you post a screenshot? Rebelscan, I'm not sure how to take a screen shot (if I even can) and so I thought I might 'share' as this is one of the 'three dot' extras. I was given the option of Gmail, Bluetooth, Android beam or Drive. I figured Drive was my only option, but when I tried verifying by opening the file, I ended up adding multiple copies to my phone book/contact list. Now I have 10 copies of the same contact, all of which I can't edit, or remove. Aaaaaargh. I'm not sure why exactly this is happening. I've never encountered such an issue. Does it happen with every contact or just the one? Only with the contacts added since the upgrade. Older contacts still offer the 'edit' pencil. Try taking a screenshot, Power + Volume Down simultaneously. Thanks for that, rebelscan. I always wondered how it was done. The first is the new contact after upgrade, the second was added before. it seems to be an Android 5.0.1 bug. I can't edit, delete ANY contact on my HTC One M8 after the upgrade. Adding works fine, also all contacts sync to google perfectly. And people ask me why I don't update as soon as the update becomes available. Duh! I don't think that this is an Android bug. It's a HTC bug. None of our Nexus devices have this problem. It's not just a HTC bug. My MotoX is doing the same thing. Deleted the contacts on the phone... Clear Data. Had to clear data from contacts and messaging to make it all go away. After all that I was able to edit, delete, and clean up the contacts. Appears that no data was lost. yay! With thanks to Nt4 - I had the same issue on MotoG 1st Gen after upgrading to Lollipop. The fix worked like a dream - with no loss of contact data. After clearing data from Contacts and Contacts storage I had to reboot the phone before the Contacts app would load properly and import the saved contacts *.vcf file. Thanks again. I have this same issue with my S5. I find this "forced" upgrade, YES FORCED because I didn't accept it, to be AWFUL (there were other things removed with this upgrade but they are not for this thread). I ended up having to re-create several contacts just to edit them. I will try Nt4's suggestion. I would love to know who signed off on this upgrade because in my mind it's not even worthy of an Alpha-test designation let alone a GA rollout. I have the same problem on the HTC ONE M7 on Verizon wireless using Android 5.0.2, has anyone came up with a work around to this. Also if I go to my contacts in Google Mail and make corrections and then try to sync my contacts it does not sync with the new info at all. Why does my phone always say not responding? Why does my blue tooth connection start and stop every 15 seconds? Why does the screen on my S5 keep going blank/black? Why does my S5 vibrate when selected to mute?